Golf mental game - Why golf swing breakdowns occur on the golf course. To understand why golf swing breakdowns occur on the golf course, you should understand how the mind and body communicate to create and control body movement. To start, whenever you wish to move any part of your body, the conscious mind sends the message to the subconscious motor control center to make the movement. 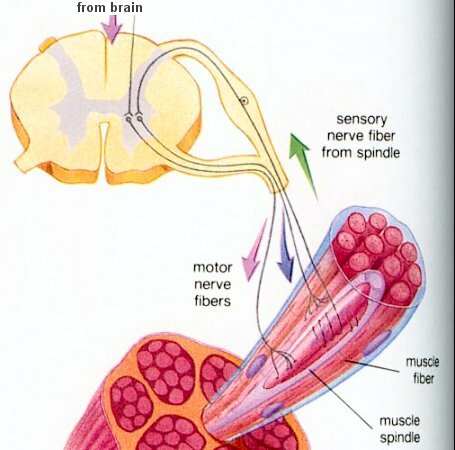 Next, the subconscious mind calls up a set of instructions stored in memory for the movement and loads them to send to the body muscles through the motor nerve fibers. Once the movement starts, proprioceptors in the muscles sense the movement and send bio-feedback back to the subconscious to let it know what is happening. The subconscious compares the feedback with the original instructions, makes any needed adjustments, and sends out updated information to improve accuracy of body movement. This loop of sending out information and checking feedback happens constantly during the golf swing, making thousands of “loops” every second. For professional golfers who have hit thousands of golf balls, the golf swing that is stored in memory is quite clear. So the only place to look for unexplained mistakes is this communication loop between the mind and body. If either side of the loop gets blocked, the communication is cut off and the instructions or possibly the corrected instructions never get to the muscles. When this happens the shot is compromised. You cannot consciously remove conscious thoughts – doing so just creates a vacuum that draws in more conscious thoughts. Traditional mental training focuses the golfer outside of the body on future thoughts (the target) – future and past thoughts are conscious thoughts that act as further distractions to the communication process between the mind and body during the golf shot. Although hypnosis many times gets results, the golfer STILL has little knowledge of what went wrong when the wheels come off, meaning it could happen again at any time. Bio-Visual Focus gives you access to see the communication that is going on during the golf swing and shows you how to improve the communication to eliminate unexplained golf swing breakdowns. Doesn’t affect any other golf training. Vastly improves consistency, accuracy, and distance. Builds the confidence needed to hold up under pressure. Moves a trained golfer into the zone for every golf shot on the golf course. If you haven’t done so, get started with Bio-Visual Focus by doing the free lessons.